Margot Strauss is a senior research and teaching associate at the Socio-Economic Rights and Administrative Justice (SERAJ) Research Project, based in the Department of Public Law at Stellenbosch University’s Faculty of Law. Margot co-lectures Constitutional Law 312 (Bill of Rights) with Professor Sandra Liebenberg and completed her doctoral dissertation entitled “A right to the city for South Africa’s urban poor” in 2017. Her research interests lie at the intersection between spatial justice, housing rights, planning law, social justice and human rights in urban areas. 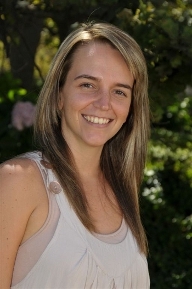 In 2014, Margot co-published an article with Professor Liebenberg for a special edition of Planning Theory on the contested spaces inhabited by South Africa’s urban poor within the context of housing rights and evictions law in post-apartheid South Africa (“Contested spaces: Housing rights and evictions law in post-apartheid South Africa (2014) 13(4) Planning Theory 428-448). Margot Strauss obtained her LLB degree from Stellenbosch University. She joined the Overarching Strategic Project on Combating Poverty, Homelessness and Socio-Economic Vulnerability under the Constitution at Stellenbosch University in 2011. In 2012, Margot was awarded a full research scholarship by the Finish Ministry of Foreign Affairs to conduct research for her doctoral study at the Institute for Human Rights at Åbo Akademi University in Turku, Finland. During her two-month research stay in Finland, she was also afforded the opportunity to participate in the Annual Intensive Course on the Judicial Enforcement of Economic, Social and Cultural Rights, which is organised and hosted by Institute for Human Rights at Åbo Akademi University.